The Candidate should be certified by MH / RMO/Registered Medical Practitioner as physically and mentally fit to pursue the course. A certificate to this effect is required to be submitted by the candidate when the candidate joins the Institute. 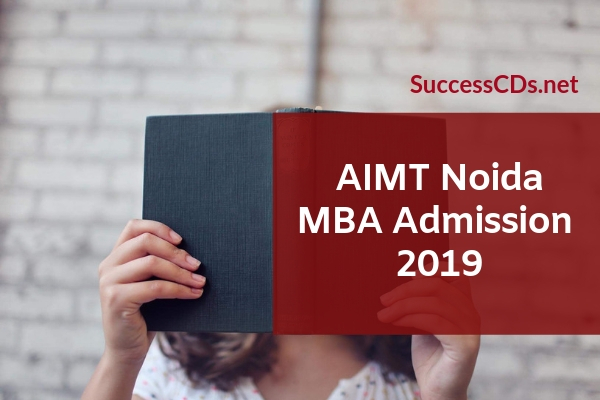 Those desirous of seeking admission to AIMT, Greater NOIDA are required to obtain both bulletin with application form and the Information Brochure/Prospectus of the Institute. These are required to be submitted before the scheduled cut off dates. The Final Merit List will be declared at official website. The same will be available at the office of Registrar AIMT and on the institute website. Final Merit List will be prepared on the basis of the CAT/MAT/CMAT/XAT scores, and GD & PI as per u/m weightage. Official notice regarding final merit list is given below.